The roll revision drive is taken up by the Election Commission of India for next year’s General Election, and Gandevi taluka’s mamlatdar S D Chaudhary asked the police on Monday to pick up the three teachers and present them at his office on Tuesday. A teacher was arrested while she was teaching a class full of students and the local police were stopped from arresting two others by the local MLA in Gandevi taluka of Gujarat’s Navsari district on Monday after the mamlatdar (chief officer of the taluka) issued a warrant for the trio’s arrest for missing electoral roll revision work assigned to them. Government school teachers have been appointed booth-level officers (BLOs) in the electoral roll revision drive, and Navsari district administration had asked all BLOs on Sunday to verify and correct them. 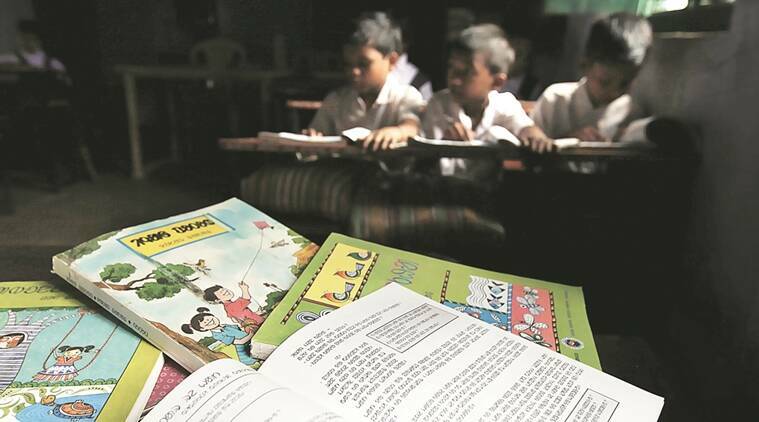 Three BLOs — all teachers at village primary schools — had failed to turn up when the exercise was carried out in Gandevi on Monday: Manisha Raman Patel of Undach village primary school, Nidhi Bharat Patel (Antaliya), and Geeta Arun Patel (Gadat). The police, he said, “brought them and they gave us in writing that they will do election-related work” in future. Nidhi Patel, 32, was arrested while she was teaching students of class VII, leaving the children shell-shocked, according to those present. The police told the school principal that they had an arrest warrant from the mamlatdar and were acting on his orders. Nidhi was taken to the mamlatdar office, where she had to give written assurance that she will finish her election-related work before October 15 before she was allowed to go home. The two other teachers – Manisha Patel, 45, and Geeta Patel, 50, were at a science fair in Vadsarang village of the district. When the police reached there to arrest them, two BJP MLAs present at the venue – Naresh Patel (of Gandevi constituency) and Piyush Patel (Navsari) stopped them from arresting the duo. They told the police team that the teachers would go to the mamlatdar office on Monday evening, once the science fair wound up. Both went to the mamlatdar office in the evening and gave a written undertaking that they would do all election-related work assigned to them.